Reduces risk of lightning damaging an energizer. 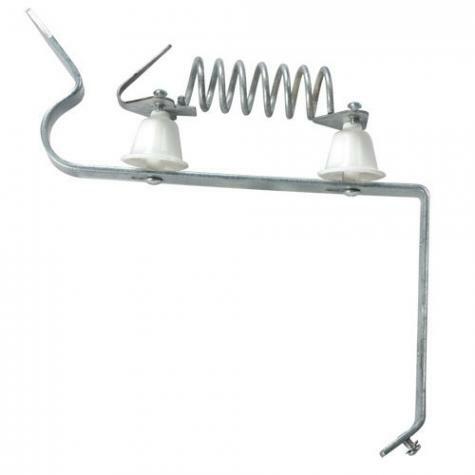 Users in lightning-prone areas should install a lightning diverter and ground rod at all major gateways, or every 1/2 mile where electrical flow needs to be reconnected. Reduces risk of lightning damaging an energizer. 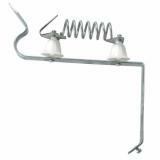 Combines a choke coil and a diverter into one unit. 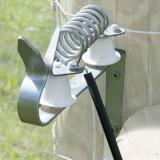 Double insulated wires are attached to it from a ground rod, energizer and fence. Galvanized steel with plastic insulators. 8 1/2" from ground plate to end. 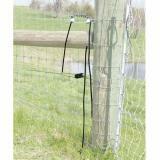 Use double insulated electric fence wire for connections between the diverter and other fence components. 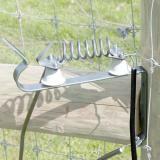 You will need a separate ground rod for each diverter.